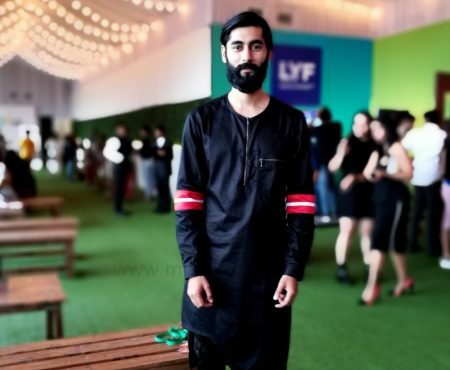 Last month, we saw a flurry of activity attending shows, meeting designers and taking in their autumn winter collections at the Source, meeting other fashion bloggers, stylists and industry insiders at the Lakme Fashion Week Winter/ Festive 2014. 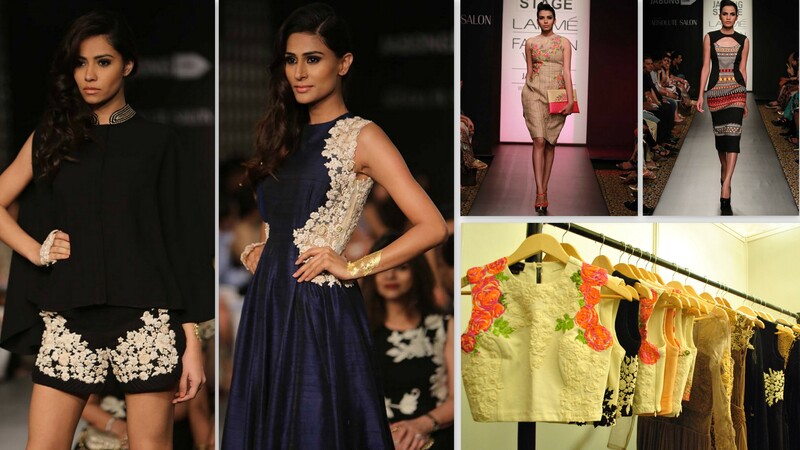 Here is quick look at all things we loved at the fashion week. 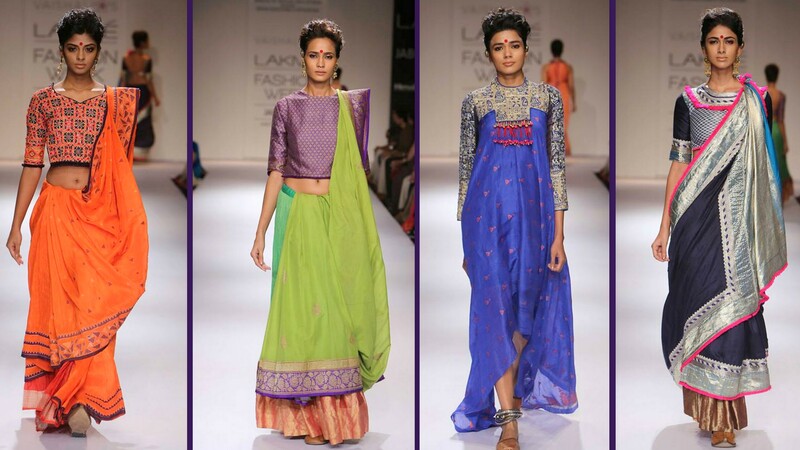 Indian textile and hand loom dominated this fashion week. 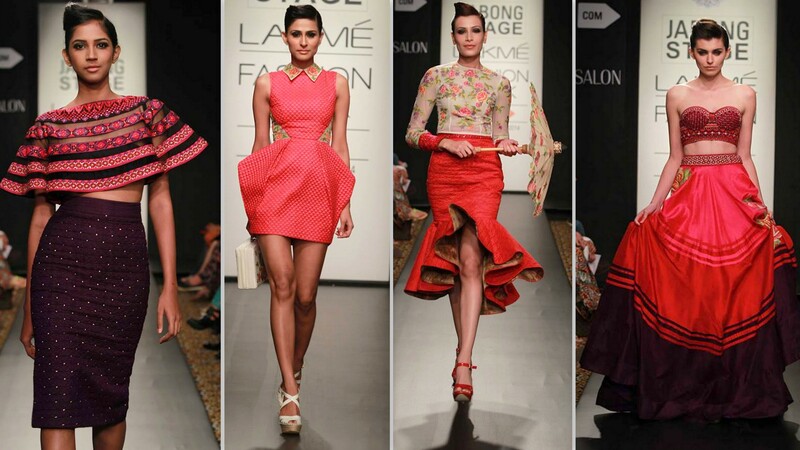 We loved how Ridhi Mehra used fusion, focusing on westernized silhouettes and using luxurious fabrics like silk, georgette, chiffon, net and raw silk with traditional embellishment techniques such as resham, zardozi and bead work. Neha Agarwal’s reinterpretation of seventeen century’s French embroidery in organic tussar, ahimsa, gicha and muga silk with quilting, bowled us over completely. Her collection was by far our favorite. 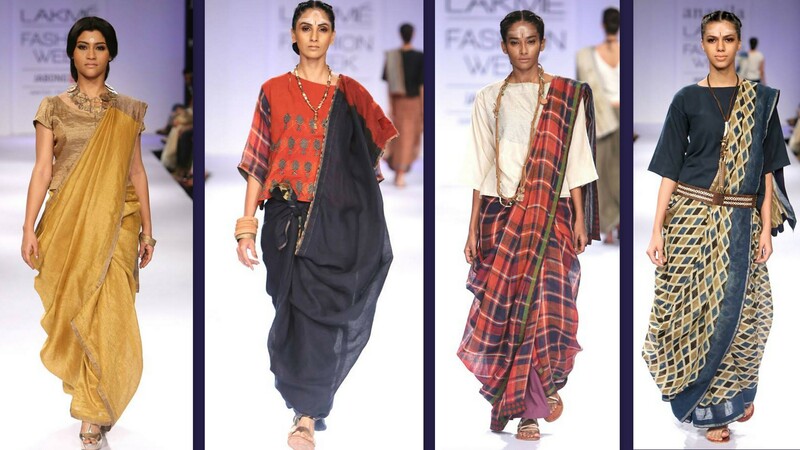 Inspired by the life of the Rabari tribe, Vaishali Shadangule’s collection was clever mix of traditional weaves from Varanasi and Jamdani silk from West Bengal with contemporary silhouettes. We absolutely love! 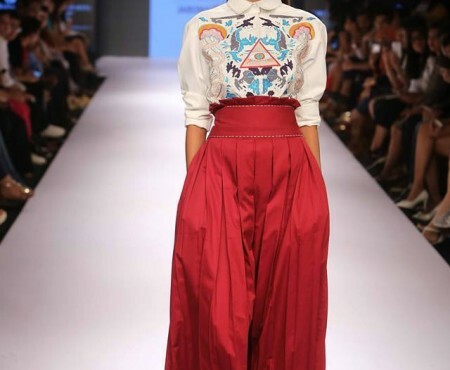 Swati Vijaivargie used traditional motifs and geometric prints on handmade silks in clean cut western silhouettes comprised jackets, trousers, tops, blouses, kurtis, coats and tunics. We absolutely loved Anavila’s ‘Mohenjo Daro’ collection of ajrak, Ikat and block printed hand-woven textiles in linen, cotton and silk, which were dominant in that era. Debutante designer Asa Kazingmei’s raw and edgy take on fashion is inspired by the Naga warriors and their shield used, when at war. We definitely see Lady Gaga wearing this 🙂 The boots and gloves were to die for and we would totally recommend this to all the men who are looking to add some leather in their wardrobes. 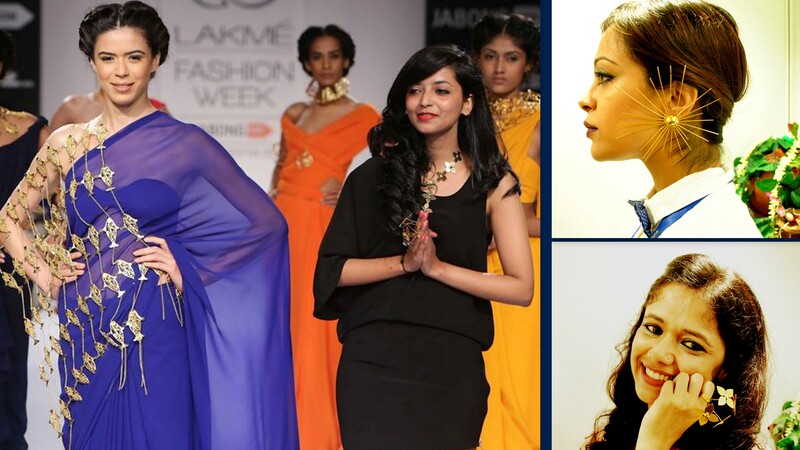 Mrinalini Chandra’s jewelry collection called “Shakuntala” was an ode to the beautiful lady. The handcrafted couture jewelry had interesting forms like flowers, leaves, insects, monkeys and fish that were part of Shankuntala’s life. Cheeky loved this spiked earring and the flower finger ring I tried, is an absolute beauty. 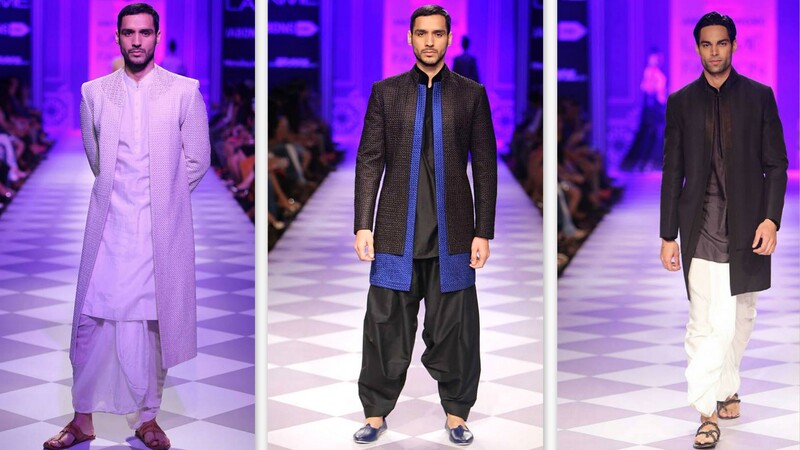 Though Anita Dongre’s shows are dominated by bridal wear, what we loved even more was the men’s wear with black or white textured sherwani, black Jodhpur jacket with quilted blue layering; worn with either salwars or dhotis. 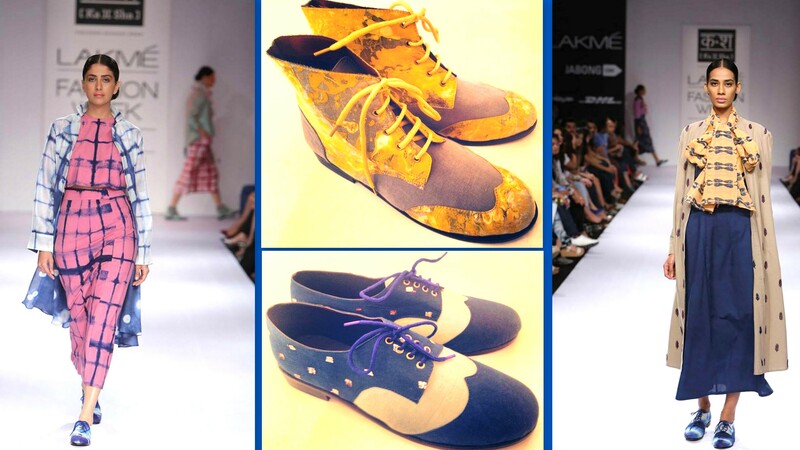 How could we leave out our favorite Pune based designer and Vogue’s Fund winner,Karishma Shahani. 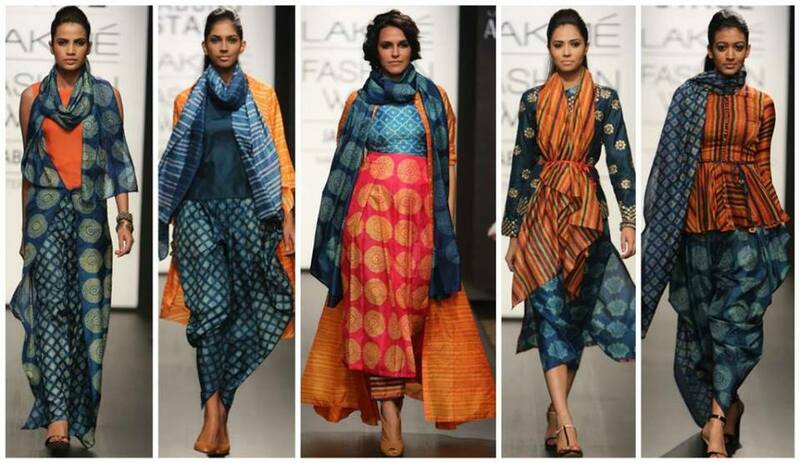 Her winter festive collection is titled Khoj and consisted of organic fabrics and fresh colors and use of tie and dye. More than the clothes, we are lusting after the tie & dye booties this season. We are so excited that Jabong has got River Island to India, the collection included cigarette pants, pencil skirts, cutaway tees, plaid jumpsuits and lots of cute cat, bird and geometric prints. 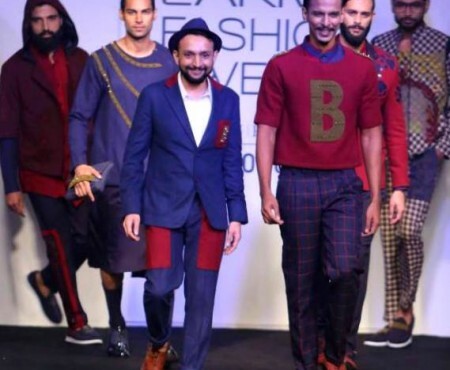 The men’s collection was quite impressive too in printed and plaid shirts, sweaters, hooded two tone denim/knit parka and two-button jackets. Jabong also introduced Miss Selfridge along with River Island. But all that sparkle and shine was too overwhelming for us, and although it was the festive collection with focus on club wear, the collection didn’t showcase anything out of the box. QuirkBox showcased QuirkBoxGold, however we felt they lacked their signature quirkiness. 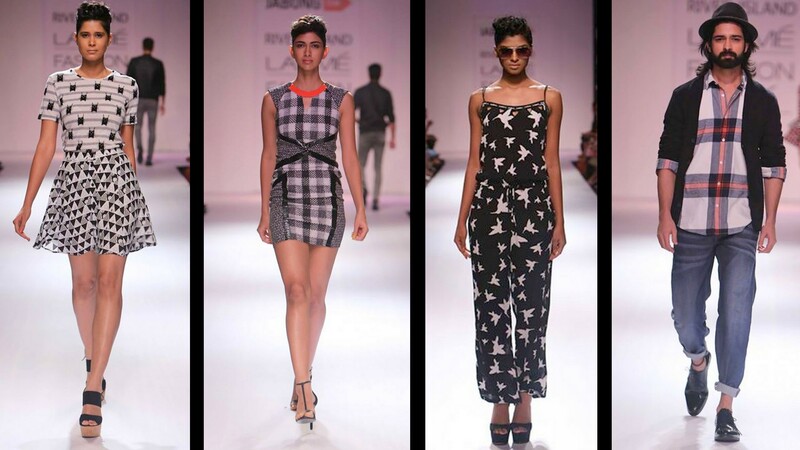 Perhaps the novelty of prints is wearing off and the balloons reminded us a little of Masaba’s prints. What do you think of our picks? Do you think we missed out some great collections in this? Would love to hear from you.